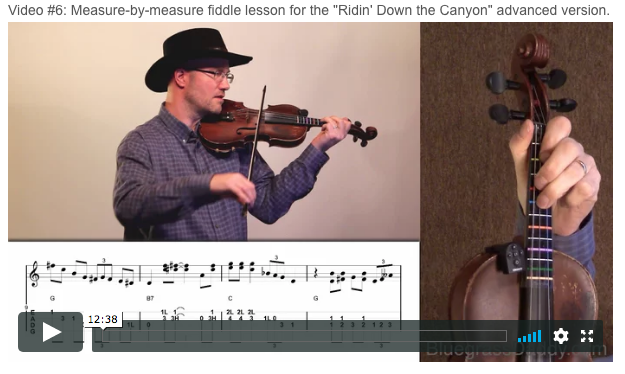 This is an online fiddle lesson for the western song "Ridin' Down the Canyon" by Gene Autry and Smiley Burnette. 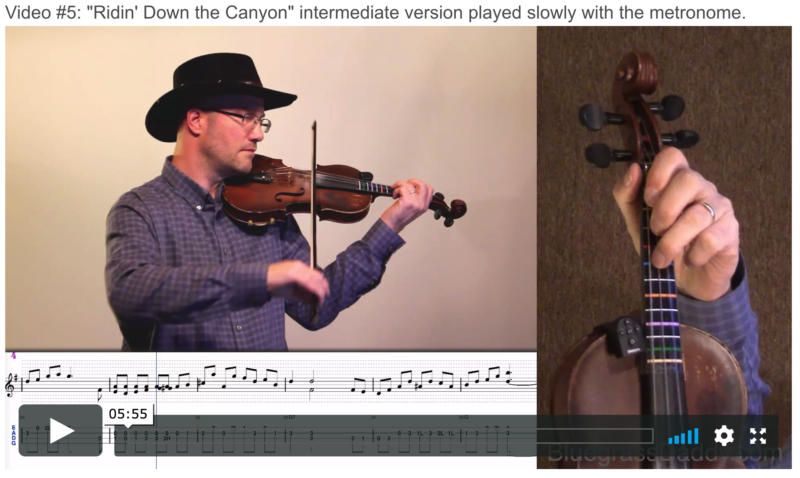 Video #1: Here is a video of me playing and singing "Ridin' Down the Canyon." 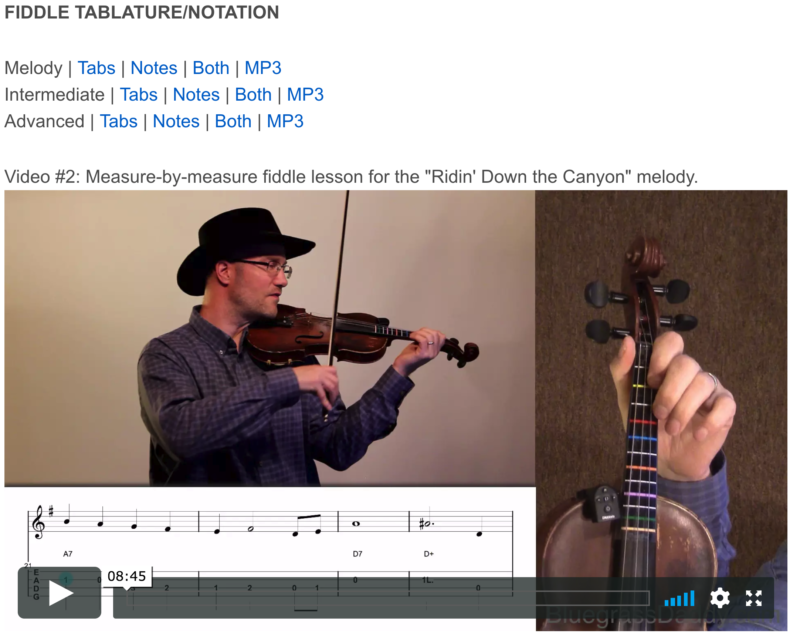 Posted in Advanced, Beginner, Intermediate, Western	Tagged with: "Ridin' Down the Canyon" "Gene Autry" "Roy Rogers" "country fiddle lesson" "western fiddle lesson" "online fiddle lesson" "John Cockman"
This topic contains 18 replies, has 4 voices, and was last updated by cricket 1 year ago. 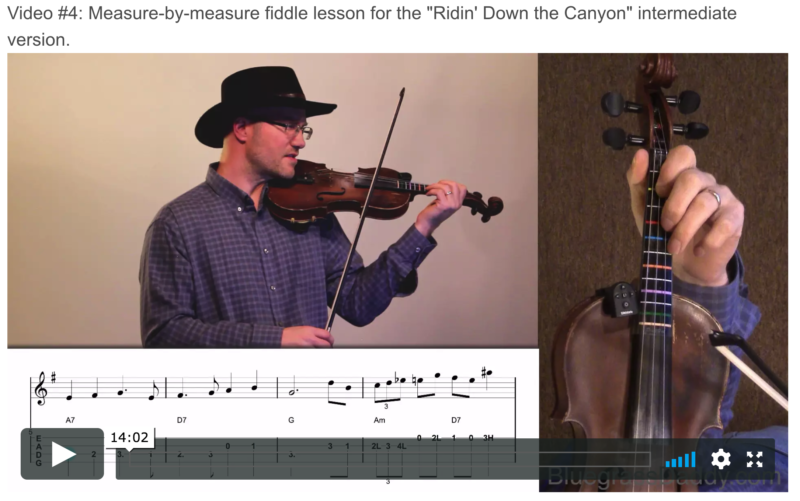 This is an online fiddle lesson for the western song “Ridin’ Down the Canyon.” This song was brought to you by BGD member Steve Srader. Thank you Steve! 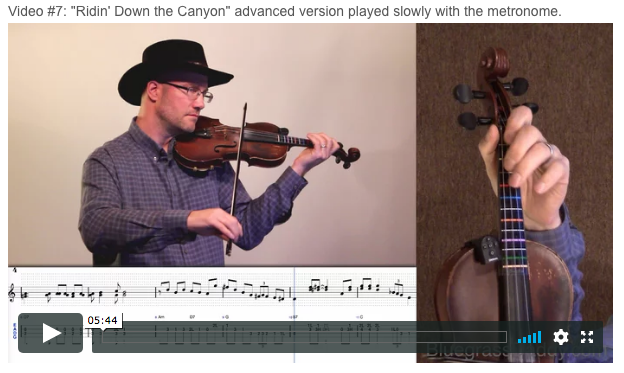 Wow…that’s some fancy fiddling! John and Steve, you guys make a great team. 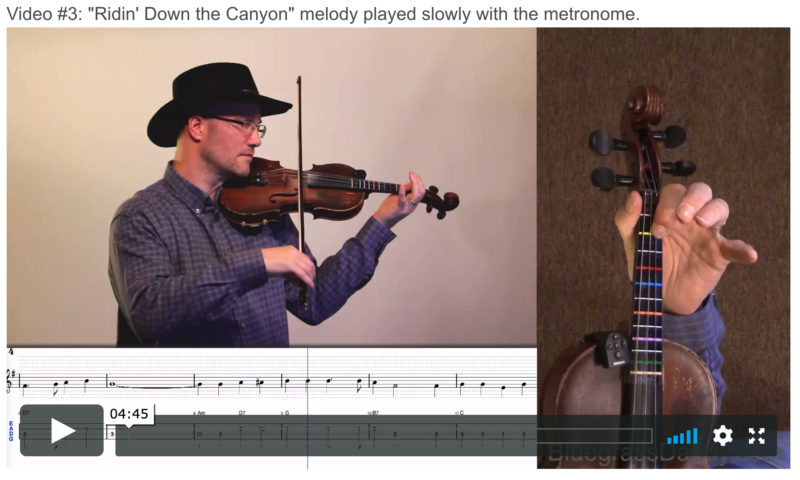 I wanna learn this…all I need is a hat…oh, plus a lot of time and work…lol. Great lesson! Cricket I am glad You like it , I was afraid , that I might be its biggest fan , My Dad and Mom used to sing and play this one , and there was a short time that I was a working cowboy , Out on a Six thousand acre ranch , and I saddled up my horse , checked Cows , fences ,and water holes , rarely missed a sunrise or sunset was there less than six months . Cool…that’s exciting to know a real cowboy! We all dream about such a life! Thanks for the heads-up, Steve, I’ll get that fixed and replaced asap. That’s really cool that you worked on a ranch. Thanks to Roy Rogers, Tex Ritter, and Lash LaRue, there was a time when I would have given my right eye to saddle up my horse and ride fences on some ranch out west. Steve, where did you work on ranches? I worked on ranches in New Mexico when I was growing up–no better life! Thanks for doing this lesson Dr John. Thanks everyone JD I was born in Roswell New Mexico , My Grandpa was a share cropper there , I had Great Uncles that worked Ranches and I was in and out of that life as I was growing up . The Ranch I was talking about was in California , around Paso-Robles , Ca pretty close to the Pacific ocean , the country was rough and steep in places and I was always in Awe when the clouds would roll in , it would look like a majestic water fall coming over the mountain tumbling down , but would dissipate before it could reach the bottom , At that time in my life I though that’s what I wanted , But being without people all of the time proved to be the wrong thing for me , I like people , I love to entertain people with music and visit some , But then I like being to myself afterwards , So I am half Lone Wolf and Half a People person , I am retired now on social security and I have a part time job taking care of 28 Cows I usually feed out a couple steers each year for beef , I ear tag the baby calves being born , vaccinate , keep track of them daily, make sure they have food and water , keep a eye on the fences , I spend a average of a hour a day doing this job and My horse is a four wheel drive mule LOL ! I spend a lot more time doing my music trying to learn to play violin , I play guitar and sing for seniors at various places I am mostly a solo act , I do have a once a month jam with friends and strangers at a old community building , and that’s my life in a nut shell ! Wow…born in Roswell…isn’t that where the aliens are…lol? Sounds like an interesting life, Steve. I have become mostly lon3 wolf these days, myself…I used to be very outgoing, but living here I seem to hav3 gradually evolved int9 being a loner. I wish I had a plac3 to play music among people, but since living here I have felt that my attempts to play music for or with other folks is more like me just torturing them…lol…so I quit trying…don’t like to feel like a pest. I sent several audition tapes to volunteer to play at various old folks homes over these recent years, @nd festivals, churches, and such, but never got accepted at any. I had a few musical places to play when we first moved up here about 30 years ago now, because right off the bat I hit it off with the 7niversity archivist here…he had a huge interest in my kinda music, etc., and had connections all over and had me playing al, the time, but he left and I never could get anything on my own…even wanting to just play…it’s like, annoying to people…lol. Im just not comfortable forcing myself on anybody. So, well there’s that Presonus, so I feel like 8m not forcing myself on unwilling ears with tha5 thing. We had a few head of cattle on our family farm when I was growing up…selling my own calves is how I got my first guitars I learned to play. They brought a lot of money for a pre-teen kid, back in those days! Without my Holstein, I’d never hav3 gotten a guitar. Cricket I have always been a lone wolf player and what I do is go in person to the senior citizen places they always have some one that plans their monthly planer and they have a lot going on from meals to hackly sack games and you name it they may have four or five different things going on everyday , they booked me to play from 10:00am to about noon cause noon is when they eat so about 11:45 am I end my music and say a little prayer for them gather my stuff up and join them for lunch or go home and a hour and forty five minutes is a lot when you’ve got no backup . I think they are scared to book anyone they don’t know as some are not very good and hard to listen to , so if I am new and they don’t know , what I can do , then I bring my guitar and play a tune for them and sing then I’ve got the hook set and they always want me back , try these out neurontin 900 mg day So my advice to you is get out and go there and take a instrument of your choice that you can play and sing with , and walk in with it their curiosity will open the doors , It makes me feel good to give something of myself , I don’t get paid , I just like to make someone’s day , its never more than once a week and usually only once a month . I personally would not want to do more than once a week . That’s good that you can do that, Steve. I can’t play if I feel like my music annoys people…lol…I think I’m more comfortable if they know what I do and it’s ok with them. The last BG jam I wen5 to here in this area…it was one of 5hose kind wher3 they go around the circle and everybody picks a tune…usually I can’t think of anything in tha5 situation, but the last time, I suddenly thought of Poor Little Turtle Dove…nobody knew it…I told them it’s easy…I, IV, V chords…started to play and sing it and figured they’re jump in, but they acted like they couldn’t figure out the chords and generally the whole thing fell apart before I could even get through the first verse…I think old time, or at least the way I play, jus5 isn’t what they like in this area. That’s ok…I don’t like to force people…they should be free to like to play or hear what they prefer, and not be pressured into something else…but I have sort of jus5 dropped out of trying to make it work. Square peg in the round hole…lol. 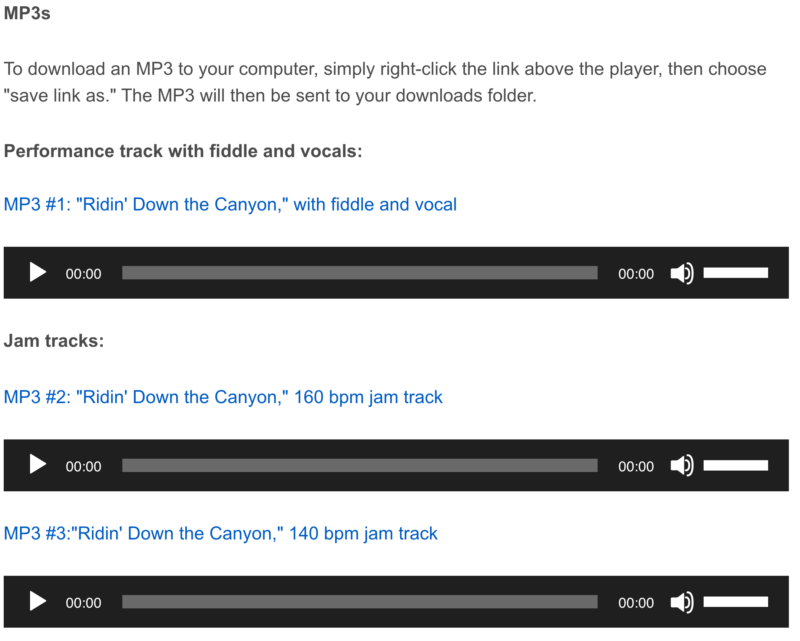 Glad I have the Presonus. Steve, I made the drive from LA to San Francisco once, and saw some beautiful ranches. We stopped at a state park near Paso-Robles, and climbed a trail up a few miles into the hills. Instead of walking back down the same trail, we cut across a big ranch, trying to avoid the cows and the hands. It was really beautiful. John it was a pretty area Thanks ! 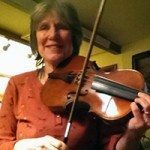 Apparently there’s a huge ot Fiddling community out there, from what I’ve seen just online…anybody going out tha5 way oughta be sure and take their fiddle…lol. Steve, one of the ranches I worked on was the Nalda ranch near Roswell, closer to a tiny town named Corona. Sounds like you are staying busy and bringing joy to a lot of folks. JD you were close to the alien crash site , Corona is actually the rightful home of the alien crash site , Corona is about 30 miles give or take from Roswell , If I remember right . You might be an alien ? I can’t remember the names of the ranch’s I guess it was not important to me It was like uncle Bobs place , and the corn place , the waggoner place , but not the Waggoner Ranch that shows up on the internet LOL that’s the wrong area , but maybe they owned some land around Roswell ? Anyway thanks JD I like making people happy with music it makes me happy too and it does not cost a dime ! 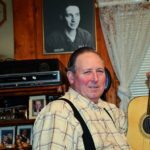 JD most folks referred to Me as simply Cowboy Steve it would surprise me if anyone in the area even remembers Me and my music , I would play anywhere just me my guitar and a song , I am still doing it but in and around Elkins , Arkansas . That’s neat, Cowboy Steve! I can imagine that…sounds like a neat lifestyle.